'Senderismo' as it is called in Spanish, is a very popular pastime in Andalucía, as the sunny days invite you to get outside and enjoy the spectacular countryside around and there are so many places to explore and enjoy. 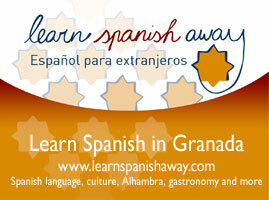 To get to know all the paths and routes in the Granada province would probably take a lifetime, but it is well worth spending some time exploring as there are walks to suit all ages and fitness. 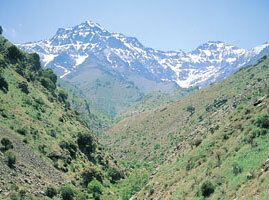 The Granada area is ideal for walking and mountaineering. Las Alpujarra and the Valle de Lecrin area have a network of ancient trails linking picturesque white villages whilst crisscrossing though a landscape of olive and citrus groves. Walking though these lower hills is a delight at any time of the year but perhaps at its best in Spring and Autumn when the high temperatures of summer can be avoided. Walks take you though an historic landscape of Moorish Castles and Roman ruins following ancient packhorse trails through dramatic valleys and crossing mountain streams using ancient packhorse bridges. The area is ideal for those who want to enjoy relaxed walking taking in the dramatic scenery before a cooling drink in a shady plaza in one of the many white villages scattered throughout the area. For nature lovers the walks are a delight as we pass though fields scented with Mediterranean herbs and get a chance to spy birds such as Golden Eagles and Egyptian vultures in the skies above. On some of the more remote walks you often come across Iberian Ibex bounding across the rocky landscape. 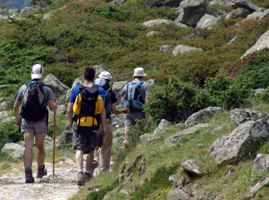 Key routes here include the GR7 and GR142; both these long distance trails pass through the region creating a basic network of well marked routes from which a network of smaller more local paths spread out into the local area. 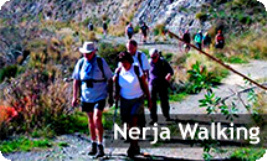 Slightly further afield the Natural Parks of the Sierra de Huetor north of Granada and the Axarquia toward the Mediterranean coast offer equally stunning walking through limestone peaks cloaked in native pine forests or refreshing walks up cool mountain streams.